Zimbra zmmailbox command is used for mailbox management such as admin-related commands, account-related commands, appoint-related commands, folder-related commands, message-related commands, tag-related commands and etc. It is the powerful command utility for zimbra administrator to perform daily account management or to perform zimbra account related issues. This post will brief you on how you can manage, get, create, delete and Empty the Folder in zimbra mailbox using zmmailbox command line interface (CLI). 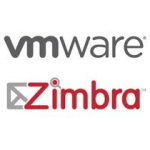 All the command has been tested in Zimbra Collaboration Suite 8.0.4 installed on CentOS 6.4. Once you created Personal folder, please move some files into /Personal. Then run getAllFolders or gaf. Once folder /Personal has been empty, rerun etAllFolders or gaf again to verify. How can I move items from one folder to another? First, i am sorry with my writing. When i send email, the email was sent. But i could not received it. I don’t know how to fix it. Please me! I am first with Zimbra. I hope that you understand and help to fix it for me.